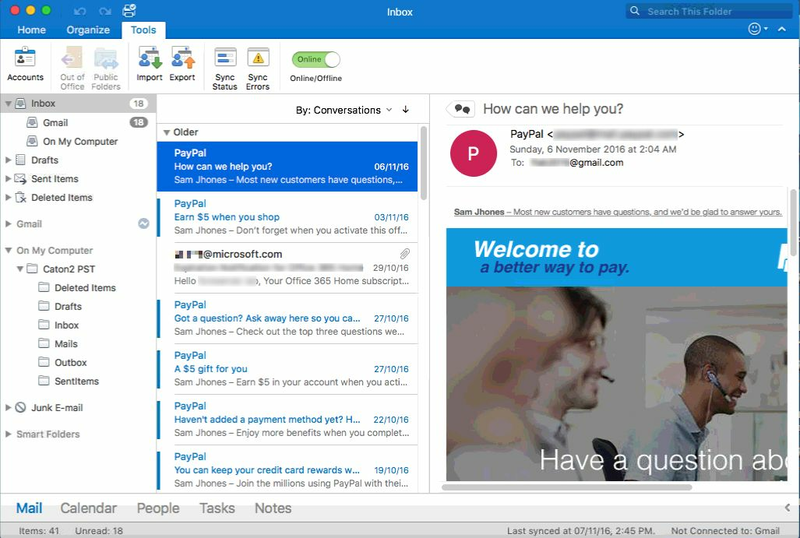 The software allows users with an option to shift large MBOX files to PST form via Mac Mail to Outlook 2013 Exporter tool. It enables the users to import multiple folders like Inbox, sent items, Create etc. Users can even transfer Mac Mailboxes to EML format. The migrate Mac Mail to Outlook 2010 software is designed in such a way that it easily exports the many MBOX files to PST format. Moreover, the tool provides users with all the Meta-properties in intact form including data items like cc, date, subject, etc. The software is robust enough that it provides users with an astonishing feature of date filter. The option enables users to select a file sent/received on a particular date. It provides the users a space to exclude the unwanted data. While exporting the mails from MBOX emails to PST, the software exports attachments along with inline images in PST file format. The tool does not compromise with formatting of original document and retains integrity of attachments present in mails. The Mac Mail to Outlook PST 2007 program offers the export of files in such a way keeping the folder structure intact. It provides the users with the original structure of folders to Outlook PST. It even provides interface to access mails without data loss. The utility enables users with an option to preview the entire task performed. The software retains details like file name, mail count, file size, etc. It even allows the users to save the reports generated for future purposes. The Mac Mail to Outlook migrator tool is completely Mac Oriented. Users can easily run it on any Mac Operating System be it latter ones or newer ones. Moreover, it supports all the Outlook versions for Mac i.e., 2011, and 2016. What Our Users Say about the MAC MBOX to Outlook Product? 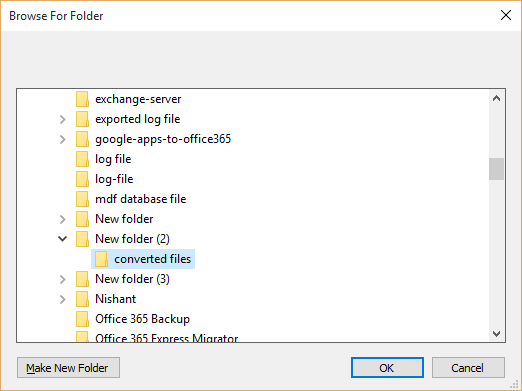 Can I save the Log Report Generated after converting MBOX to PST? Yes, the software provides users with detailed log report. You can easily save the reports generated for future proposes. Does the utility maintain meta-properties of files while converting? 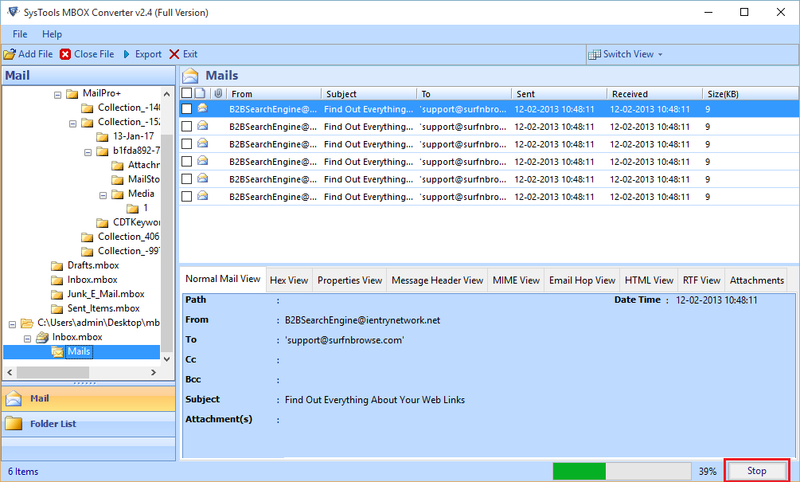 Yes, the tool maintains the internal structure of mails while converting the files from MBOX to PST. Is there any file size restrictions imposed on the file at time of conversion? No, the Mac Mail to Outlook Converter tool is completely free of any restriction on the basis of size. Can I download a particular range of mails in my machine using software? Yes, the utility provides users an option where they can easily save the mails using the advance date filters. 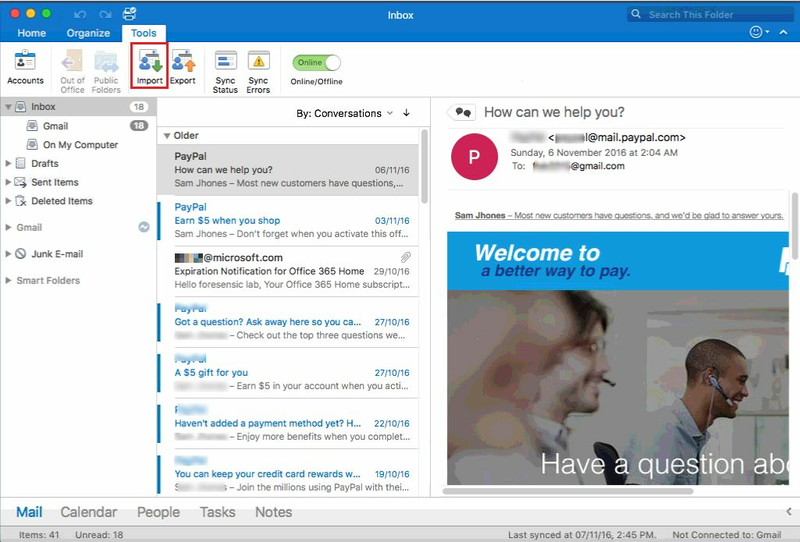 How to Transfer Mac Mail to Outlook PST Easily? 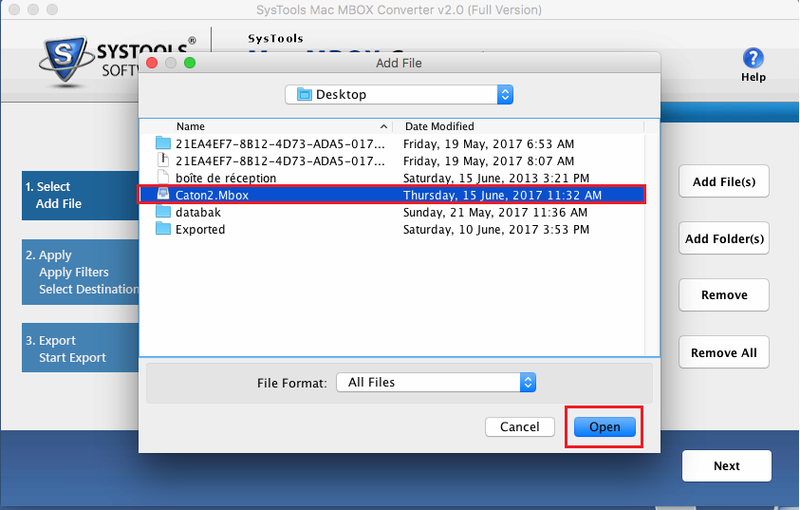 Simple Method to Convert Apple Mail to Microsoft Outlook for Mac? Select Export option and opt for preview all mails. Choose Next button to continue. Click on OK button after complete export process. 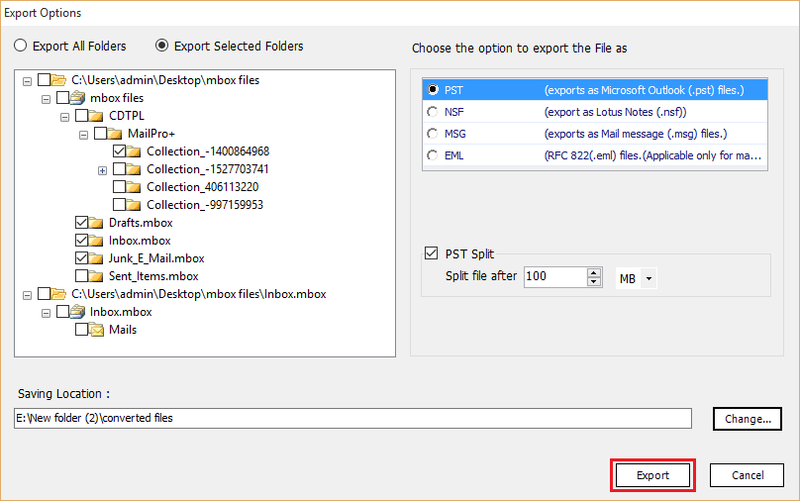 Mac Mail to Outlook exporter tool easily shifts all the data from MBOX files to Outlook PST. The tool moves the files with complete accuracy. In addition to it, the software is able to transfer MBOX files to EML and MSG file formats also. 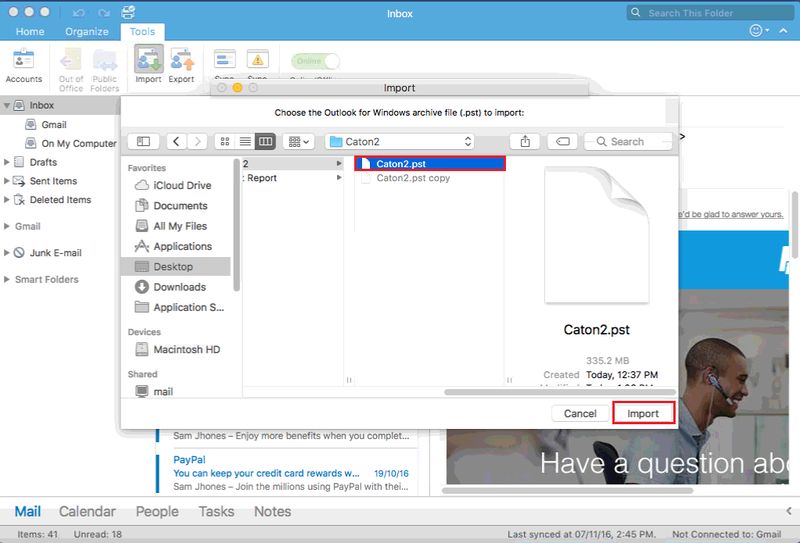 While moving from Mac Mail to Outlook, the product offers users with an option to Split PST. The Split PST file option allows cutting of oversized PST files to smaller parts. A user needs to provide the size in MBs to break Outlook PST files. 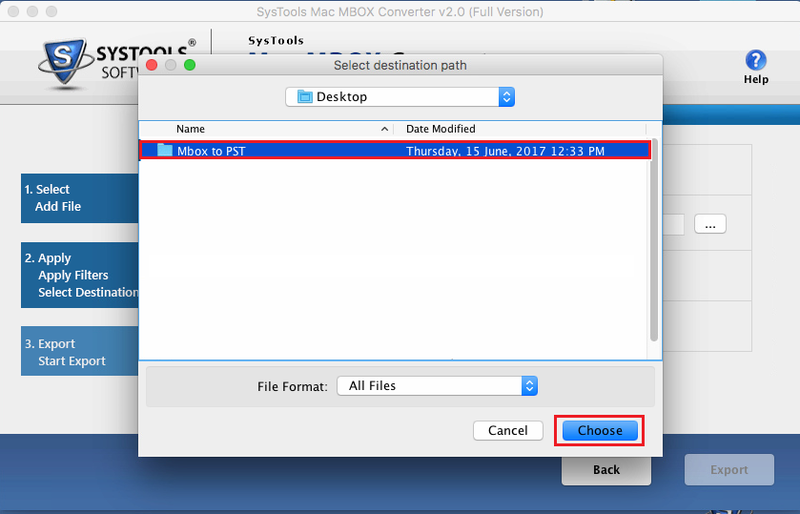 The MBOX to PST converter tool renders users with options through which they can make a single PST file for all MBOX folders. For Instance, a PST files for inbox.mbox, sent items.mbox, trash.mbox and so on. 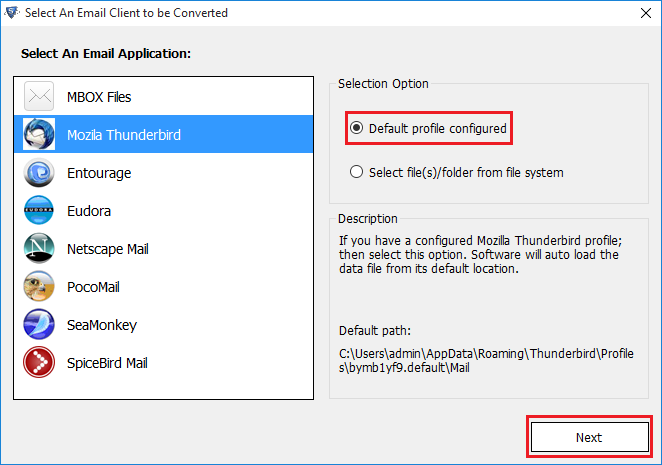 The Mac Mail to Outlook migration software provides users with a choice where they can opt for selective migration of files. Additionally, the tool also shifts selected folders from Mac Mail to Outlook. Users can even export individual folders too. The commendable feature of the tool is that during the MBOX to PST migration process, it keeps the on-disk hierarchy maintained. It also keeps in check the properties like from, to, date, CC, subject, and many more attributes. The Mac Mail to Outlook Converter program is designed using a brilliant algorithm that it is easily supported by all versions of Microsoft Outlook. Moreover, all the Windows dependent mailing clients support all MS Outlook Editions like 2016, 13, 10, 7. 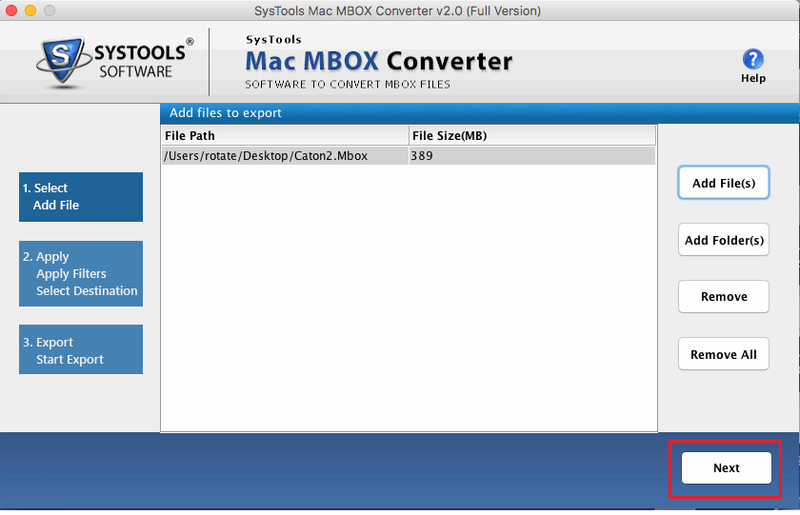 The software enables the scanning of a specific file after adding MBOX files. The tool even gives users with an instant view of all data items saved. Users can easily preview every mail in two different modes i.e., Vertical and Horizontal views. User can opt for any option required. 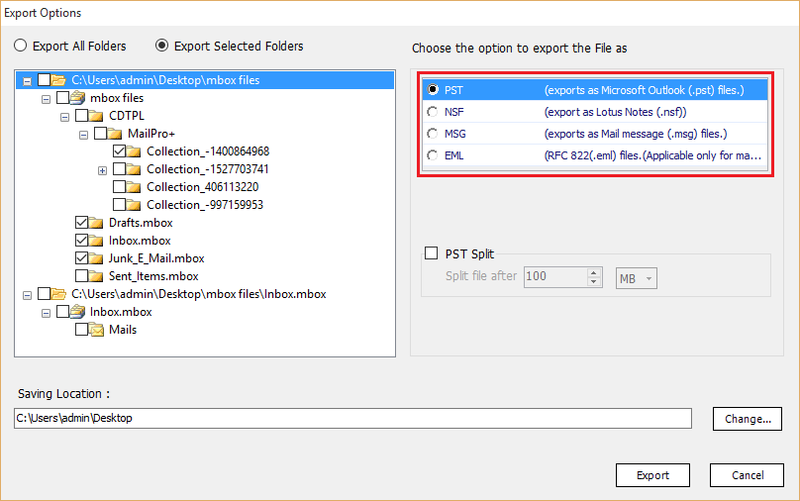 The Mac Mail to Outlook Importer tool is programmed in such a way that it shifts many MBOX files to PST. Excluding this, it provides users with an alternative to opt for single PST file, and manages them easily without any hassle of Multiple PST files. 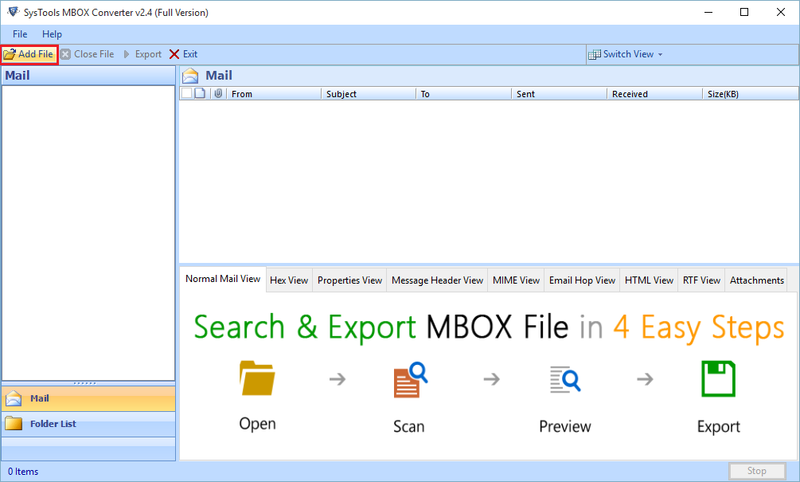 The MBOX to Outlook converter Software converts all the mails from MBOX to PST files combining attachments and the inline images respectively. The tool is so magnificent that it does not adjust with the data integrity and original formatting. Is the utility bound to any restriction in terms of size of files at the time of import process? No, Apple Mail to Outlook Exporter utility does not have any restriction imposed to perform conversion of files. Is the utility capable of maintaining the integrity of data while exporting MBOX files to PST? Yes, the tool is capable of retaining the data while converting the mails from Mac Mail to Outlook PST. Is the software completely compatible in Windows 8 Operating System arena? Yes, you can access the program with an ease in Windows Outlook arena including all newer Windows edition. The tool supports all Windows Mail Clients. 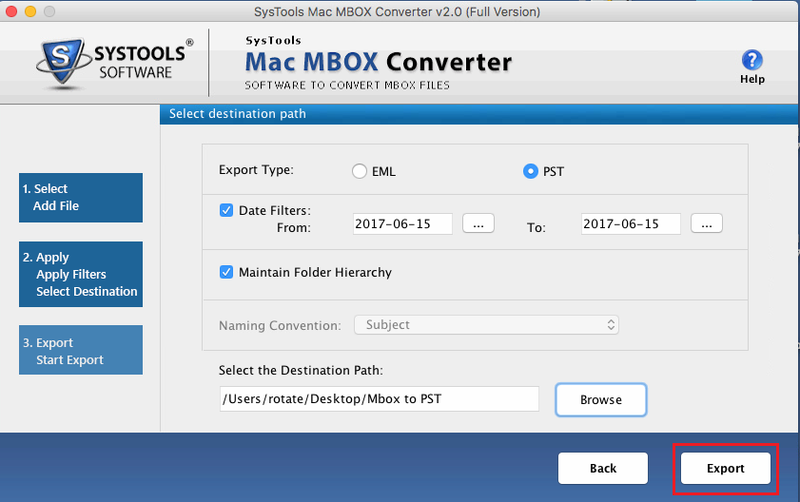 Does the tool offers an option to import selective MBOX files to Outlook PST without any hassle? 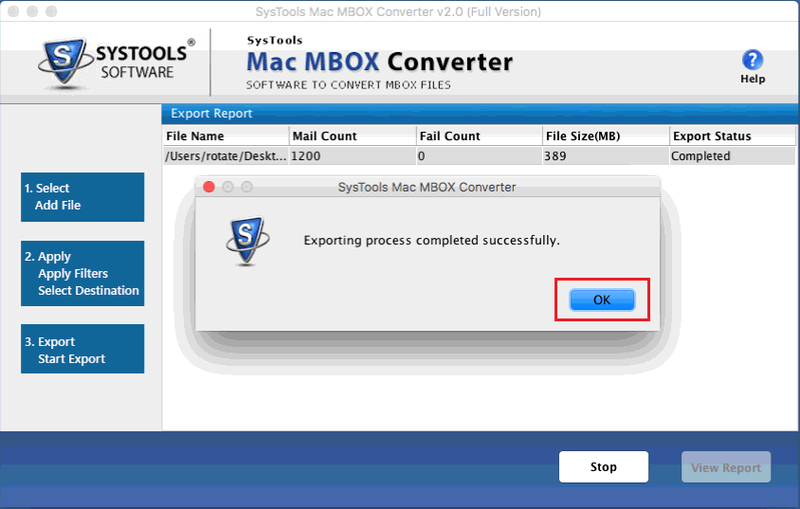 Yes, the Mac Mail to Outlook Converter program allows users with an option to export selective MBOX files to PST. How to Import Apple Mail to Windows Outlook? 4. 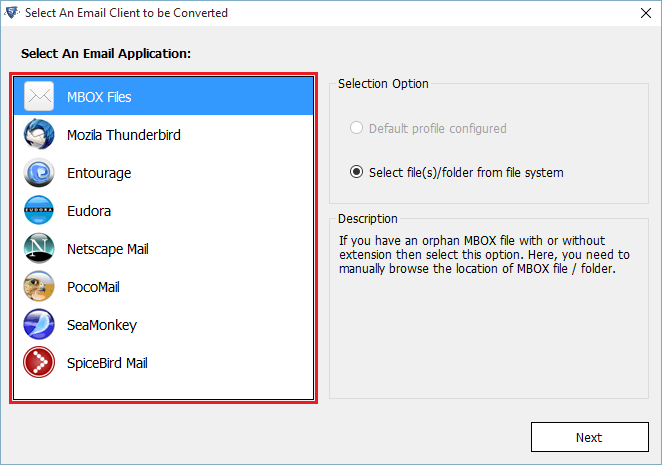 Afterwards, Select Browse button to opt for the single MBOX file, select the whole folder and Use the Folder Mode option. The program enables scanning process. After the completion of process, tool generates all emails stored in it. If you want to break the files, select the Split PST checkbox and mention the file size. You can easily select the storage location of MS Outlook PST files by opting for Browse button. Lastly, choose the Export option to start process of conversion.